Bitcoin’s (BTC) monthly close today may reveal the cryptocurrency’s directional bias after a long period of low volatility. If prices fail to defend long-term support at the 21-month exponential moving average (EMA), currently at $6,108, things may get tougher for BTC’s bulls. This is evident from the fact that price pullbacks witnessed in June, July, and September had ended near the EMA. Further, brief dips below that level quickly bounced back. The price action suggests that the bears have likely run out of steam and BTC may have carved out a bottom close to $6,000. However, that argument would lose credence if prices close today below $6,108, signaling a resumption of the sell-off from the record highs reached in December last year. At press time, BTC is trading at $6,265 on Coinbase, having hit a two-week low of $6,211 on Monday. As can be seen above, the 5- and 10-month EMAs produced a bearish cross last month for the first time since 2014, meaning the bears are already in control here. Hence, a close below the 21-month EMA will likely prove costly. The prospects of a bullish reversal above $7,400 (September high) would improve if BTC defends the EMA support for the fifth month straight. A bearish close below the 21-month EMA may allow a drop to levels below the June low of $5,777. 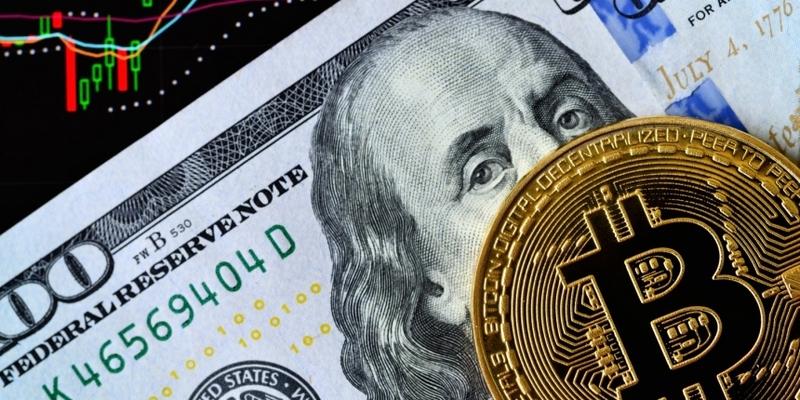 A defense of the crucial support would be encouraging, however, a bullish reversal would be confirmed only if BTC ends a series of lower highs with a move above $7,400.